On 24 March, Jakub Zavrel gave the keynote speech “Industry Strength Labor Market Web Mining” at the Vacancy Mining and Analysis Workshop. This workshop, organized by Eduworks fellows for academics and practitioners interested in vacancy research, provided a chance to gain deeper insights in the challenges of using vacancy data in a number of social science research areas. Participants were actively involved in round-table discussions around visions and challenges of using vacancy data for research. 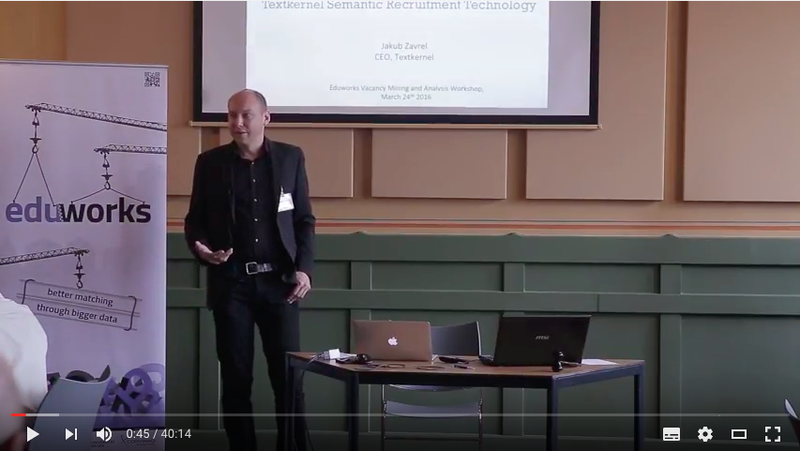 Watch the recording of Jakub Zavrel’s presentation.